The Dieron regiments bear their district and regimental insignias proudly, along with the House Kurita dragon crest. 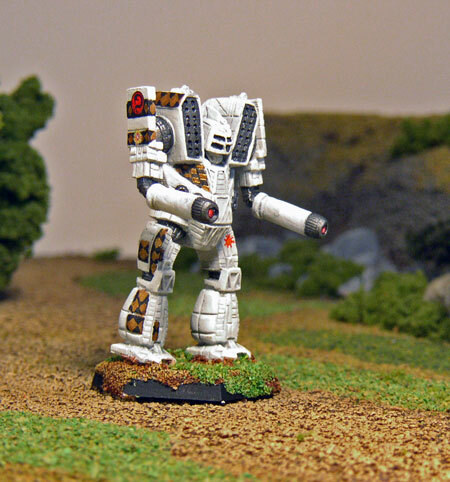 The crest always appears on the outside of a BattleMech's right shoulder, and the district insignia of a red starburst against a setting sun appears on the right arm just below it. 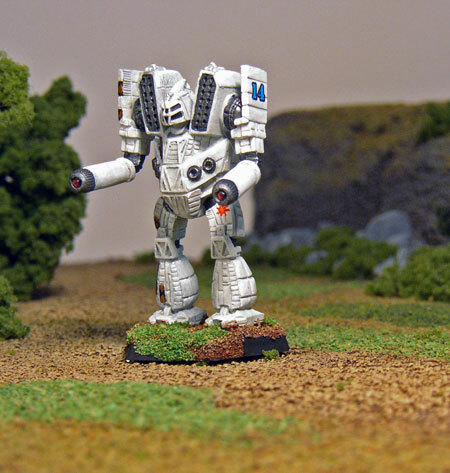 Regimental insignias tend to appear on a BattleMech's upper left leg. The various insignias appear in corresponding locations on other types of war machines. The Twelfth Dieron's insignia depicts a bright red and orange explosion. Per FM: Draconis Combine, pages 48 and 52.